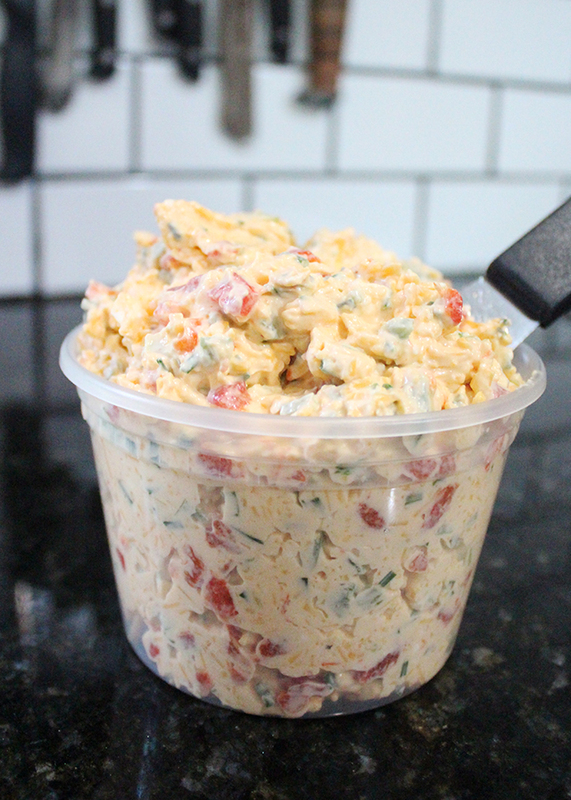 Pimento cheese spread is in my opinion one of those dishes that is truly unique to the South. In fact before moving to the South I had never heard of pimento cheese. 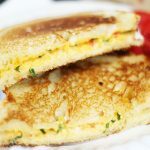 The first time was in a tiny bistro style restaurant tucked in between antique stores in historic downtown Roswell GA. Their menu was full of southern classics: fried green tomato po’boys, chicken and collard greens, pecan pie, peach cobbler, and a pimento grilled cheese sandwich. I knew everything on the menu except the pimento cheese – which was like waving a red flag at me. I had to order it. It was creamy, sharp, a little bit salty, all with a touch of heat. It was delicious! I have tried a number of different recipes for this Southern classic over the years, and I have of course developed my own recipe for it! 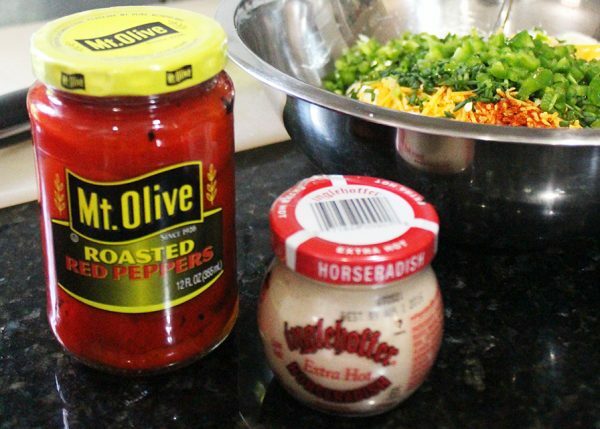 What makes this recipe different from all the other recipes out there is that I use fresh jalapeños, garlic, fresh chives, and fire-roasted red peppers. …but the top secret ingredient is the extra-hot horseradish. IT is amazing! 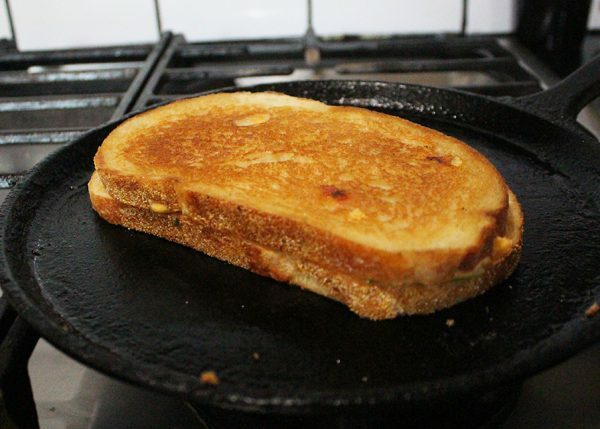 There is no such thing as a bad grilled cheese sandwich. It’s pure yummy goodness any time of the day or night!! The South knows comfort food! Enjoy some gooey goodness today! 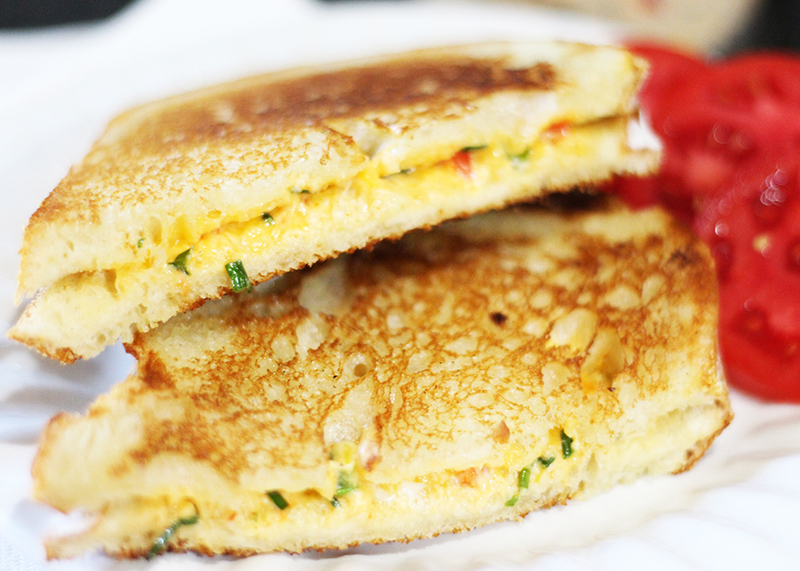 A creamy, cheesy southern classic... with a twist! Assemble ingredients. 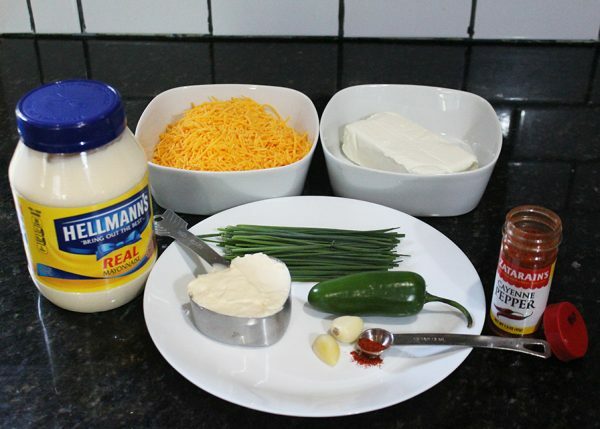 Grate the garlic, dice the jalapeño and the chives and add with the cream cheese, sharp cheddar, cayenne pepper and mayonnaise to a deep bowl. Extra hot horseradish and fire roasted sweet red peppers really make this dish! Dice the fire roasted red pepper and add it along with the horseradish to the cheese mixture. Mix well with a spoon. Taste and adjust seasoning as desired! This can be stored in a tightly sealed container in the refrigerator for up to a week. 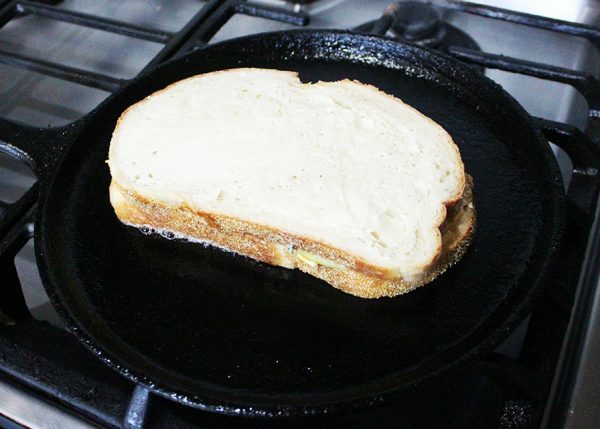 Lightly butter the outside of two slices of good bread. 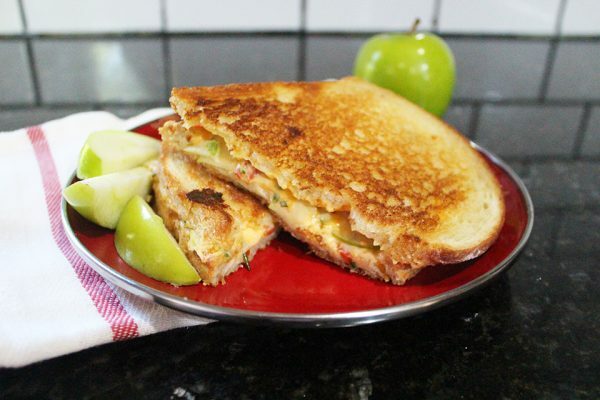 Add a thin layer of pimento cheese to the other side. Over medium heat, grill your goodness.